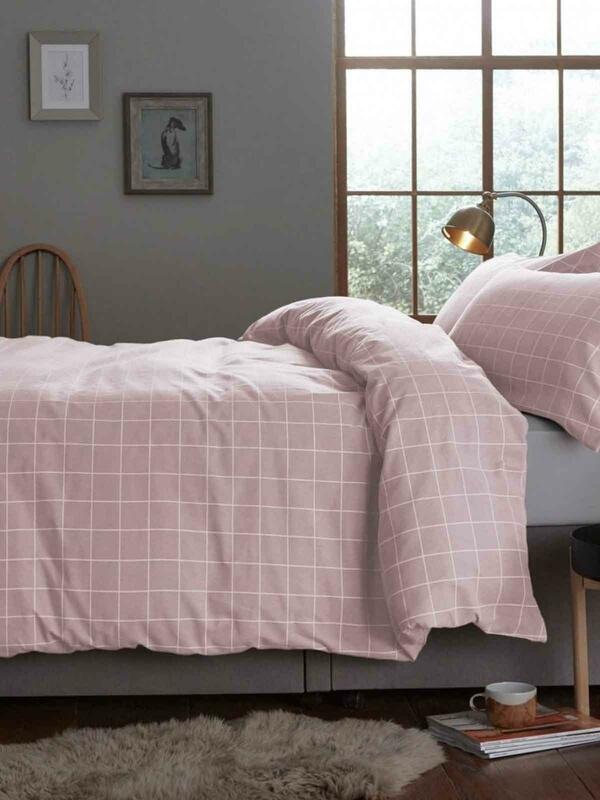 The Silentnight Brushed Check duvet set is warm and sophisticated, beautifully crafted from soft brushed cotton fabric to keep you cosy throughout the night. The duvet set is presented in a blush colourway with a classic check design to make a stylish edition to any bedroom. Brushed cotton is loosely spun, closely woven and wonderfully warm. Its beautifully soft feel will keep you snug during colder winter months. The Silentnight Brushed Check duvet is also available in smoke. Single sets comprise of one Duvet Cover and one Pillow Case. Double, King and Super King sets comprise of one Duvet Cover and Two Pillow Cases. Beautiful cosy flanelette bedlinen, excellent price.